As Director of Marketing and Business Development, Christina oversees nationwide business development, marketing and communications strategies for Freeborn across its five offices. 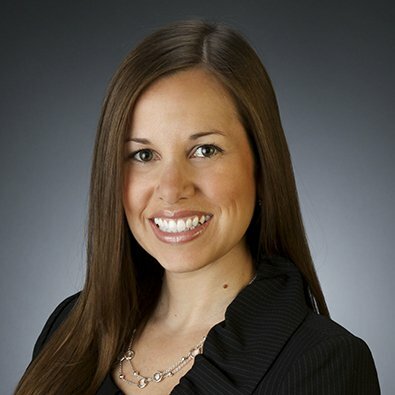 Christina works closely with attorneys within and the leaders of Freeborn & Peters LLP's various practice groups and industry teams, and leads a marketing and business development team devoted to practice support, client development, strategic planning, market research, competitive intelligence, event planning, branding, public relations, and internal and digital communications. She relies on her background as a commercial litigation practitioner, and strictly abides by the firm's Core Values of integrity, commitment, effectiveness, teamwork and caring. In addition to her professional career, Christina serves as a Level 2 Volunteer and Mentor for PAWS - Chicago's largest no-kill dog and cat shelter. She previously served on the Associate Board of the Rehabilitation Institute of Chicago, and is a past Vice President, Secretary, and Membership Chair. As Co-Chair of the Board's annual fundraiser, ArtFutura, Christina planned, executed and oversaw and fundraising event that resulted in record attendance and tremendous growth in proceeds from the event. Christina is also actively involved in the Executive Women's Golf Association, the Legal Marketing Association, the Legal and Professional Services Council, and the Real Estate Finance Forum. She is an avid golfer and traveler, and as a food and wine enthusiast, Christina is also the Owner and Editor of Chritiques.com, a restaurant review blog devoted to restaurants, events, and travel. Leading Business Woman of the Year 2018, CEO Monthly.